Our team of CRO’s can craft growth plans and execute against them to hit internal goals. Giving you the added brain power to drive impactful growth. We can help you leverage best in class sales enablement tools to track activities, manage rep performance, and accelerate your sales cycle. Work with us to optimize every part of your customer lifecycle. Want to send emails at scale? Ensure 1-1 messaging? Drive demos, leads, or conversations? Let us help. We are data and process geeks. CRM’s and sales tools if built well will drive process and create the insights to power your organization. Businesses are composed of People. The best technology and world class strategy are useless without an empowered team to execute against it. A business is a machine, and without a concrete process it can’t be measured or improved. We ensure processes are designed to drive productivity and produce actionable data. Systems should help people do their jobs, not be an obstacle to productivity. Let your systems power your process, and keep your team focused on tasks instead of updating data. Everything we do should impact your businesses core KPI’s. Our data-driven approach makes sure that all initiatives have a quantitative result that can articulate performance. We can help you get the most out of personalized marketing technology to attract, convert, and delight customers along the way. 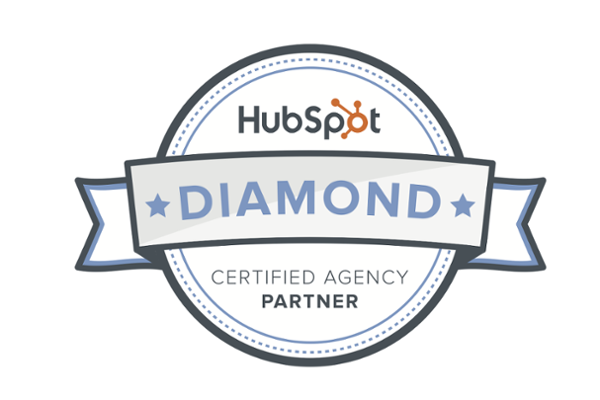 Our team has certifications on everything Hubspot. Strategy, design, content, and everything in between. We can build and execute on campaigns that help you grow, while tracking and optimizing everything along the way. Sales Cloud, Service Cloud, Marketing Cloud, and all things Salesforce. Leverage our technical and strategic knowledge for custom applications, integrations, and optimization of your existing system. Get your Pardot system doing what you need. Whether it getting salesforce fields or objects into your lists and emails, or building successful engagement studio programs, we can help you find and nurture leads, close more deals, and maximize return on investment. Have legacy databases, in house software, your own app, or another non OOTB tool? We will make sure your data flows seamlessly and is available to you wherever you spend your time. Don’t just take our word for it, see why our customers love to work with us. The Growth Panda team are rockstars. They are super thoughtful about the processes that they are helping us build out and always hit their deadlines. Strong listeners and communicators. You’re going to be in great hands. Both our marketing and sales teams have been very impressed by the level of support and quality of work delivered by the team! Our partnership with GrowthPanda has been absolutely fantastic. We're currently going through some strategy changes and their team has been nothing but flexible and understanding throughout the entire process. If you're a company dealing with scaling pains, this team is your silver bullet.